If you're looking for a hotel that is far more than a toilet and place to rest your head, the kind of place that is an experience in itself, you might want to try sleeping in a bubble. Really. 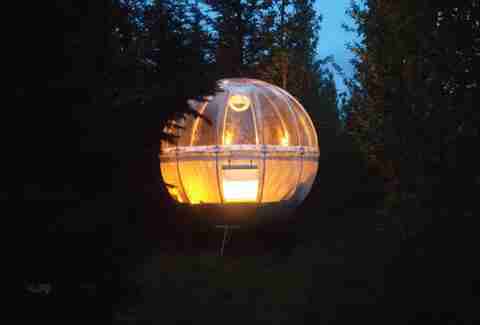 Iceland's The 5 Million Star Hotel puts you in a bubble in the middle of nature with nothing between you and the stars (and hopefully, the northern lights) but your room's clear walls. "It actually all started while I was helping travelers some 2-3 years ago, designing their northern lights trips here in Iceland," says 5 Million Star Hotel founder Robert Robertsson. "One evening I got a call from one of my customers who was participating in one of the traditional northern lights tours. They had driven to a mountain, as they often do, and they had been waiting and waiting out in the freezing cold weather. "The customers asked me on the phone, with a somewhat freezing voice, 'Robert, Robert this is so crazy. I'm freezing to dead here. (He probably did not wear good outdoor clothes.) 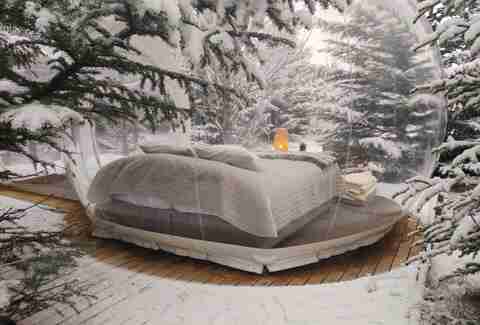 Don't you know of some hotel around here where I can just lay in my warm bed and have a glass roof so I can watch the northern lights'?" The bubbles provide a cozy space to see the northern lights in the winter and a place to get close to nature in the summer. 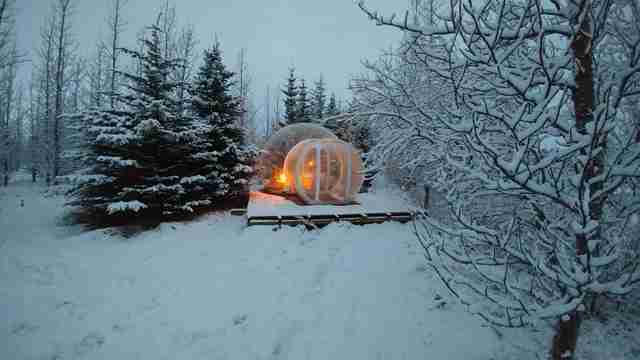 The bubbles are heated and secluded with a nearby building with a shared bathroom and kitchen. Located a little over an hour outside Reykjavik, you can rent a space or take a full Golden Circle tour and be taken to your bubble in a luxury Jeep. Prices for a night under the stars range from $248 to $291 USD. Cheap flights to Iceland aren't infrequent, and you can often get a free or cheap layover on your way to Europe. There are far worse ways to spend a layover.